The 500L, shown here at the Geneva auto show in March, is the fourth variant of the 500 minicar range. MILAN (Reuters) -- Fiat's new 500L minivan will be launched as planned in September despite possible infrastructure delays at the automaker's plant in Serbia, where the model is being built, a company spokesman said. Serbia's new government is behind on a 60 million euro ($75.10 million) payment to Fiat for the factory, Italian media reported, and is also late in building an access road linking the factory to a main highway. The factory is in Kragujevac, which is 150km south of Belgrade. Fiat and the Serbian government have spent about 1 billion euros on the plant, which opened April 14 and is slated to employ 2,400 people, who will make as many as 200,000 cars a year. 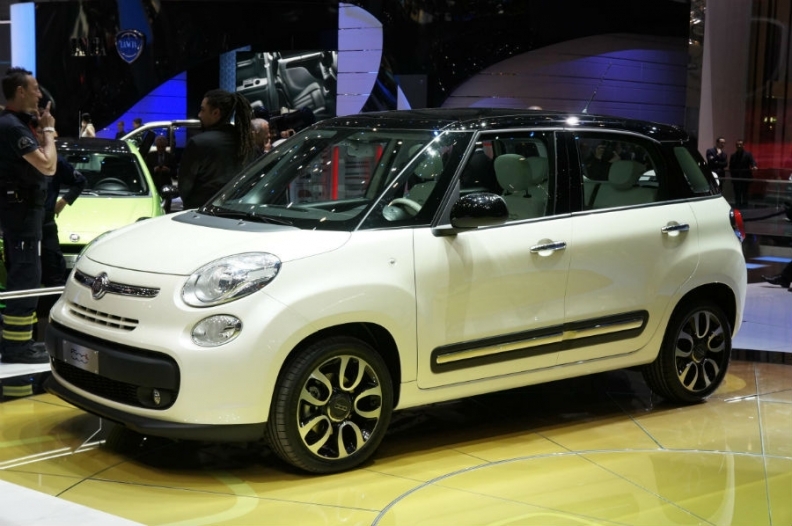 "The infrastructure problems will not result in any delay to the production of the 500L," said the spokesman. Fiat Vice Chairman Alfredo Altavilla will visit Serbia on Wednesday for a "fact-finding" meeting with Serbian politicians, said the Fiat spokesman on Monday. The 500L will join the 500 hatchback, Abarth performance version and 500C convertible as the fourth variant of the 500 minicar range. The 500L is due to go on sale in Italy and France in September, followed by the rest of Europe in October, with prices starting at 15,550 euros. Sales in North America -- and possibly in Asia -- will begin next year.